3,500-Year-Old Unfinished Obelisk Reveals Incredible Engineering of Ancient Egypt « Adafruit Industries – Makers, hackers, artists, designers and engineers! Lying as a sleeping giant in a bed of granite, the Unfinished Obelisk in Aswan, Egypt is an incredible look at the building methods of these monolithic monuments. It would have measured about 137 feet (42 meters) if completed and is estimated to weigh around 1,200 tons. It’s thought that the female pharaoh Hatshepsut commissioned the work during the 18th dynasty, more than 3,500 years ago. Just what are obelisks? 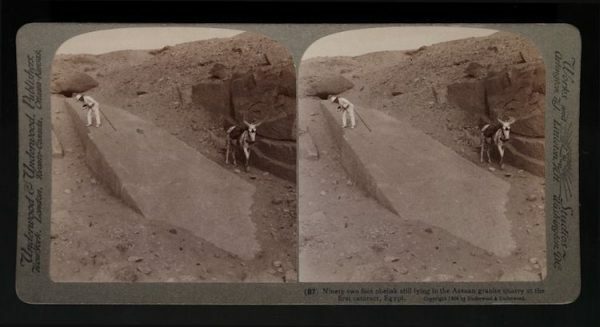 These four-sided, tapered monuments were called tekhenu by the Ancient Egyptians, but we now know them as obelisks—taken from the Greek word obeliskos. Typically placed at the entrances of temples, they are the hallmark of Ancient Egyptian ingenuity and engineering. So beloved by successive civilizations, more than half of the remaining ancient obelisks actually reside outside of Egypt, having been especially prized by the Romans. In fact, 13 are located in Italy. 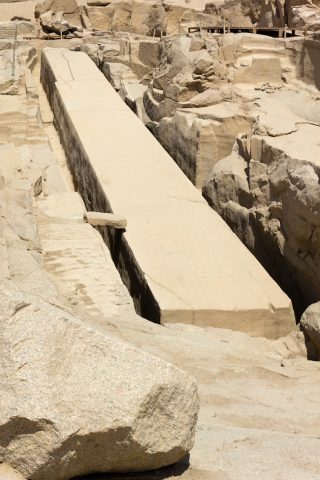 So what happened to the Aswan obelisk that left it tracked in bedrock? 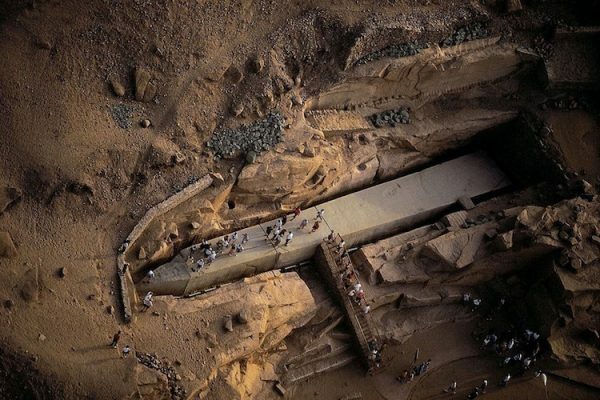 Perhaps they got a little greedy with their capabilities, as it would have been 1/3 larger than any previously erected obelisk had the work gone to completion. Instead, a huge crack appeared as it was being freed from the bedrock, causing it to lay abandoned. Now, it functions as an open-air museum that gives great insight into the construction techniques of Ancient Egypt.